97% of your website visitors will exit without calling or leaving any contact information. According to a recent Google report, only 3% of your website visitors will fill out a form or call you on their first visit. That leaves an overwhelming majority of people, who displayed some level of interest in your products or services but, choose to exit without offering any contact information. Additional studies show that only a small percentage of these people will ever return on their own. 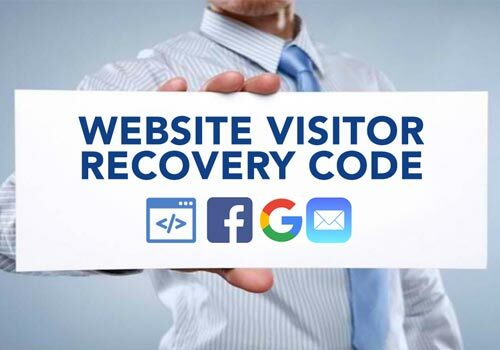 The only way to bring back the majority of your website visitors and turn them into paying customers is to have your Website Visitor Recovery Code properly installed. Retargeted website visitors are 70% more likely to convert into customers. In a perfect world, everyone would schedule a consultation and become a client on their first visit to your website. The reality is…most prospects need to be exposed to your brand and offer at least 5-7 times before they make a commitment. 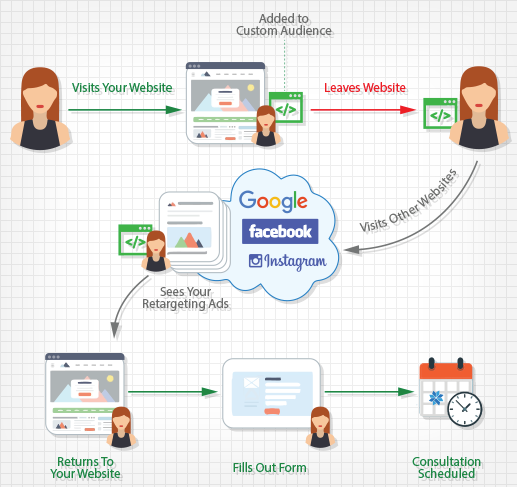 Facebook and Google retargeting pixels track people who have visited your website and allow you to display retargeting ads to them as they visit other websites and social media platforms. Every time a prospect sees your retargeting ads, you build trust and strengthen your brand recognition. Not only are you able to follow up with your website visitors, but when utilizing “Custom Audiences”, you can customize your retargeting ads to their specific interest. For example, anyone who visited the “Termite Removal” page on a pest control website, can be shown and ad, on Facebook, Instagram or Google, promoting a current “Termite Removal” special. 81% of internet users say they are more likely to make a purchase as a result of receiving targeted emails. If you want to nurture leads and turn them into customers, promote special offers or maintain brand awareness, email marketing is one of the most cost-effective ways to do so. 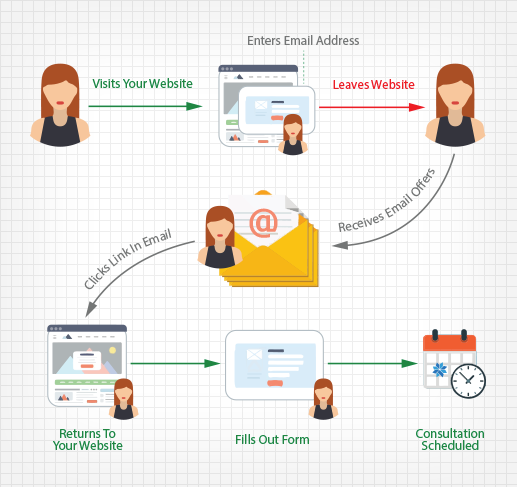 While most of your visitors will leave without giving up any contact information, many will gladly enter their email address if they are incentivized properly. The best email marketing result are produced with automated email sequences which respond to recipient behavior. For example, if a prospect receives one of your emails and clicks on link related to a specific service, that prospect can then be automatically placed into a segmented group of potential clients for that service. Anyone placed into this group would begin to receive an automated email drip sequence designed to convert them into customers or clients. More Return Website Visitors = More Sales Opportunities. Stop losing up to 97% of your website visitors. Contact Arrow today to find out how to get your Visitor Recovery Code installed properly.